I believe that everyone has a job to do in God’s Kingdom. Nobody is useless. Nobody is leftover bolt. Everyone has a calling from God to do something. But how are you supposed to know what God is calling you to do? Moses – God caught Moses’ attention by an small, unusual fire on a remote mountain. He plucked at his curiosity and then spoke to him in an audible voice. I’ve seen bushes on fire, but I’ve never seen one that wasn’t consumed, and I’ve certainly never heard one speak except in a crackle, pop, and hiss. Moses hemmed and hawed a bit, but in the end he confronted Pharaoh in God’s name and led the Hebrews out of Egypt. Gideon – God appeared to Gideon as a man and told him directly what he was supposed to do. To be certain that this was God and not just his own imagination, Gideon asked God to cause a fleece to alternately collect moisture and repel moisture. Surprisingly–at least to me–God obliged him. Gideon responded by raising an army through which God would drive the Midianites out of Israel. Samson – Samson didn’t hear God’s call himself, but an angel appeared to his parents and told them what Samson’s role was to be. I don’t know if he ever believed it himself, but the nature of Samson’s character led him into one confrontation after another with the Philistines until finally he called out to God for the strength to bring down the house of Israel’s enemies. Samuel – God called to Samuel in the night while he was a small boy watched the waning lights of the Menorah. The voice of God seemed so normal to Samuel that he thought it was a mere man. Samuel heard the voice three times before the corrupt priest Eli had to tell him that it was God speaking to him. It took four tries before Samuel answered God, but from that day on he let God’s words flow through him into the world. David – David was a shepherd, and he was a good one. He kept his flocks safe–even killing lions and bears–until God sent Samuel to anoint him to be the shepherd of a much bigger flock. God’s Spirit filled David and guided him from that day on. In the Bible, God spoke to people through a variety of media: fire, smoke, men, angels, prophets, visions, dreams, and disembodied voices. That’s great for them, but what about you and me? Signs and wonders weren’t normal even for those times, and we can’t all be judges and kings and prophets. How are the rest of us supposed to find our calling in God’s kingdom? First, let me assure you that you do have a calling. You have a job to do in God’s kingdom. Think of the Kingdom like an automobile. Some people are hood ornaments or custom alloy wheels, but is an engine mount or a bearing less important because you can’t see it? They’re actually more important than those other parts! 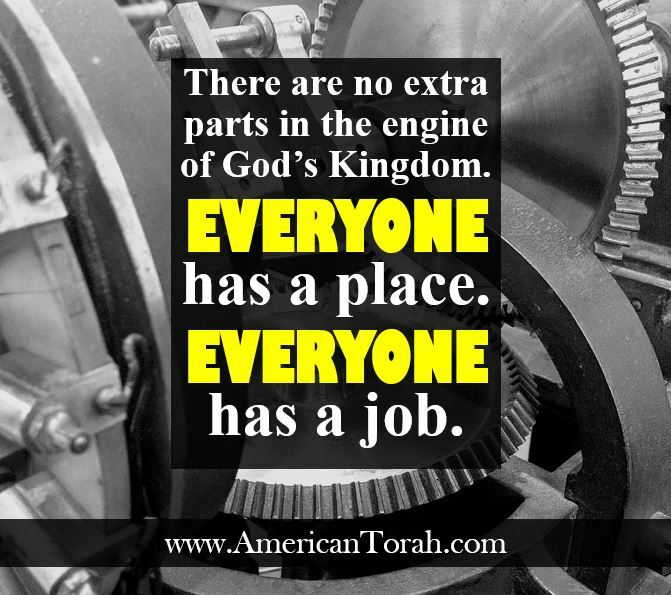 Just like the parts on a car, everyone serves a purpose in the Kingdom, and everyone suffers when parts are missing and things don’t move the way they’re supposed to. So, what’s your part? Should you ask God for a sign or should you put out a fleece like Gideon did? I believe that God can still speak to people in dramatic ways like he did back then, but that’s not what we should be looking for. Notice that none of the people I listed above went to God and asked for a sign until after God came to them. They were just minding their business, doing the work that life had put in front of them. Let me tell you a little about how God called me. There have been two constant tendencies in my life. Drives might be a better word. I write. I don’t remember when I first started writing, but I do remember that I started on my first novel in sixth grade. I would write a chapter in pencil, and my sister would type it out for me. It was all dreck, of course, and I never did finish it, but it started something. I’ve been writing more or less ever since, pouring words out on paper and screen in the form of stories, essays, letters, and endless online debates on politics, religion, technology, and whatever else caught my attention. I’m always thinking about the next thing I want to write, always writing essays in my head. I’ve never written professionally, and I know I don’t write as prolifically or as well as many others, but I’ve always been a writer. I solve puzzles too. Crosswords, sudoku, troubleshooting computers, and even filling in the family tree. I’m not a genius, but I have a good eye for spotting patterns and making connections. Sometimes I wonder if I see patterns that aren’t really there, but I make my living as a computer systems administrator, and I’ve found that I’m pretty good at eliminating the noise of irrelevant data to help me zero in on the real source of a problem. Because of that, I’ve learned to trust my instinct on what might or might not be a real pattern. I always have a puzzle near at hand for idle moments, and I usually have my eye out for chiasms and parallelisms when I’m reading the Bible. It might even rise to the level of a compulsion. These two skills have served me well professionally. In fact, in almost every job I’ve ever had, I gravitated into a role of expert troubleshooter, sorter, and documenter. Sift the data for what really matters. Catalog, categorize, and sort until it all makes sense. Then simplify, systematize, document, and organize the result into something useful, like training materials or operating procedures. I don’t care much for technical writing–it’s boring–but I’d be lying if I said I wasn’t good at it. I have some talents. So what does that have to do with God’s calling? I am convinced that if God gives you a job to do, he will also give you the means to do it, and among those means must be the talents you were born with, plus the experiences you’ve gained along the way. I can’t not write. I can’t not solve puzzles. It’s who I am, and there’s no getting around it. So, if God has a job for me, then how can who I am not play a role in that job? If you’re not sure what skills or characteristics drive you, let me ask you four questions to help you find out. Ask yourself these questions and answer them as honestly as you can. Then ask a few other people to answer them about you too. Their answers might be more revealing than your own! 1. What activities or responsibilities do you consistently find yourself handling in almost everything you do? Whether at work, play, school, or home, what are the consistent threads? 2. What kinds of problems do other people always come to you for help with? Avoid listing learned skills here. Try to focus on the broader picture. Instead of saying “fixing a car” or “programming the VCR”, say “mechanical problems” or “understanding incomplete or confusing directions”. 3. What kinds of activities do you get completely lost in? What can you do for hour after hour and hardly even notice that time has passed? How does that activity correlate with your answer to question 1? The answers to these questions will contain a wealth of information about who you are and therefore what kinds of jobs God has prepared you for. 1. Where are you right now? I mean “where” in almost every way: geographically, economically, spiritually, professionally, etc. Are you a husband? An accountant? Do you live in Alaska or Costa Rica? Wherever you are right now, whatever you do, whatever circumstance you find yourself in, start right there. Make the most of it. Be the best husband or wife, the best job seeker, the most studious learner, the kindest grandmother. 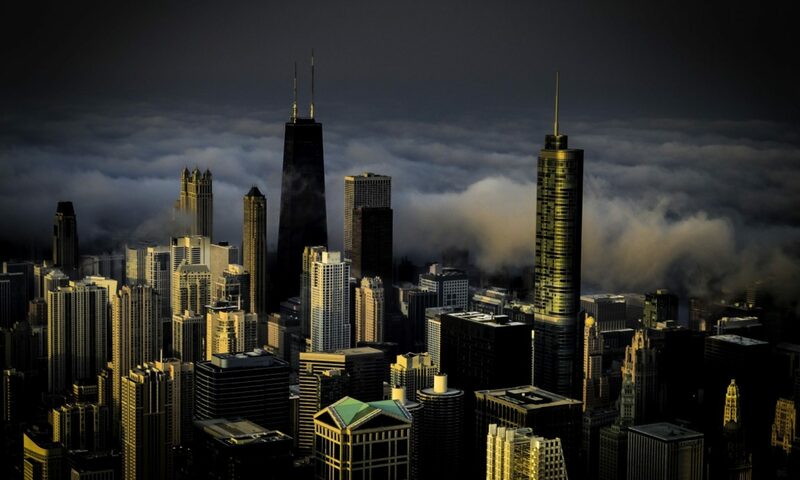 Unless there is something immoral about where and how you find yourself at the moment, don’t try to change everything. Just apply the talents that God has given you to the place that you are in. 2. What has God already told you? We shouldn’t be looking for signs in the heavens or a prophetic word to tell us what God has already told us plainly in writing. I mean the Bible. Are you reading it and taking it seriously? The character of God’s Kingdom, his people, and of God Himself is revealed in Scripture. If you want to be a part of this machine, you should know what the machine is for and what kind of performance the driver expects to get out of it. God doesn’t waste words, so if you can’t be bothered to find out what he’s already said, why should he bother telling you anything more? When you have honestly and prayerfully considered these six questions, I believe you will have a very good idea of what role God wants you to play in his plans. That might even make you a little frightened. Don’t let it. God provides. What he didn’t put in your genes, he put into your life experiences. What he didn’t give you through experience, he will give you through relationships, community, and even what might seem like blind luck, but is actually divine Providence arranging the universe to make sure you will have what you need, when you need it to accomplish God’s purposes. It’s good to enjoy life, and you should enjoy what God has given you, but remember that everything God gives you is ultimately for a purpose, which is always to serve him. Don’t be afraid that these exercises lock you into anything. You will gain more insight over time as you contemplate them over years of life and work. Your perspective will change. The things that thrill you and calm you might change too. That’s all fine, because your role in the kingdom might change too. King David’s entire life was characterized by leadership, passion, and faith in God, but those qualities manifested differently at various stages of his life. He was a shepherd in his youth, then a raider, a general, and finally a king. Your role will also change over time. You will expand, contract, and shift gears. Don’t be afraid of change when it comes. This too is part of God’s plan. Sometimes he even changes everything, turning caterpillars into butterflies and weaklings into warriors. There are exceptions to almost every rule. God sometimes sends cowards to fight battles and introverts to preach on street corners. Sometimes he even sends prophets and burning bushes. Whenever we think we have God figured out, he burns our pathetic little boxes to ash. Roll with it. God knows what he’s doing. If you don’t mind sharing, tell me what you discover through these exercises!